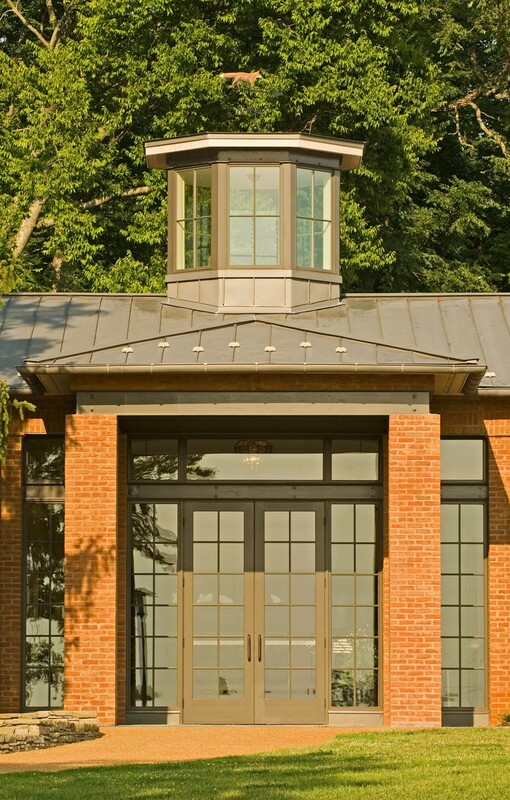 THE MONTPELIER Visitor Center provides a gateway for guests to experience of the home of James and Dolley Madison. 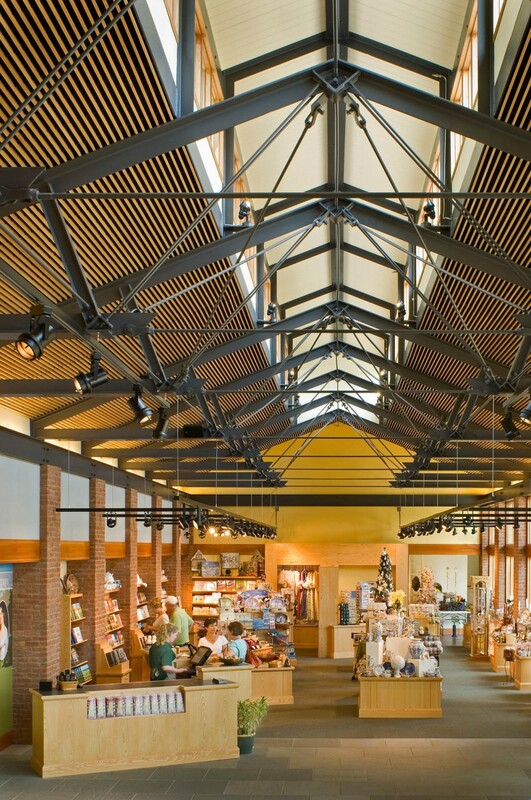 The Visitor Center is located on a beautiful and very sensitive historic site on the original road trace leading from Mt. Pleasant to the Mansion. 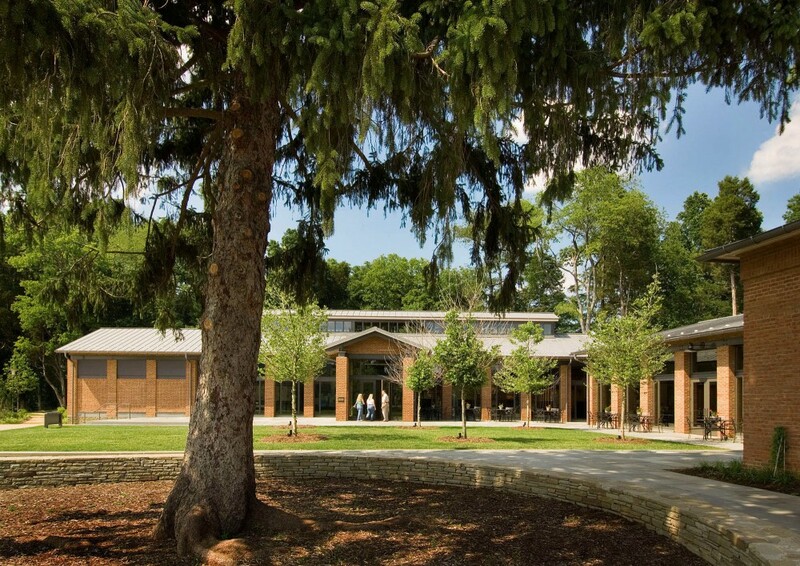 The focus for the site and building design was to create a relationship between the visitor and the historic landscape through the use of natural materials, scale, views, and connections to the historic narrative. 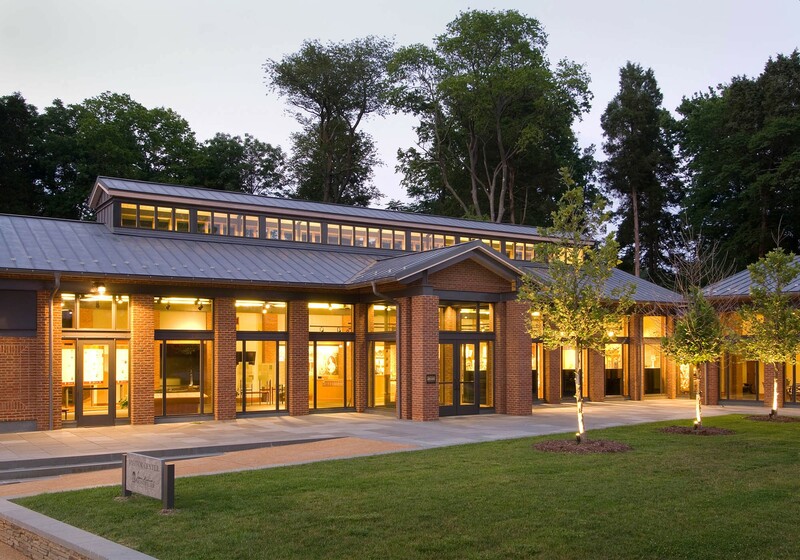 Glavé & Holmes Architecture (G&HA) in collaboration with Bartzen & Ball, PLLC, provided an elegant and contemporary building that is compatible with the scale, forms, and materials of buildings in the surrounding context, while being distinctive in its use. Building interiors, architecture, and landscape design are integrated to provide a gracious and seamless patron experience. 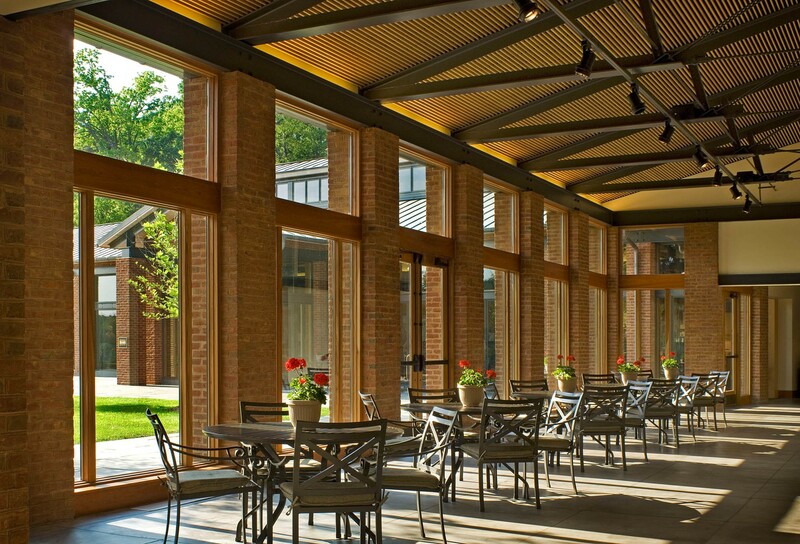 The complex also provides a 50-seat orientation theater, gift shop, gallery room and a café with doors opening to a slate patio. 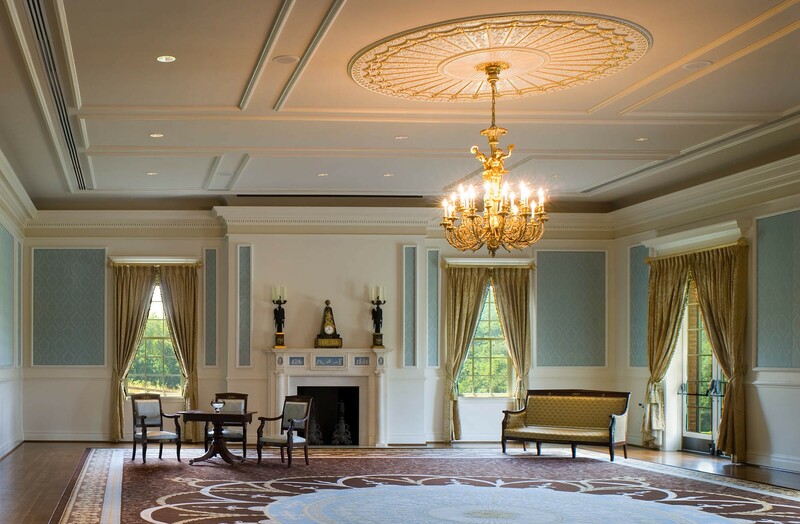 The duPont Wing features the Red Room, an exact replica of the original room in the Mansion.